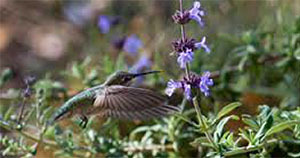 WWF is proud to partner with the National Wildlife Federation to spread the word about gardening with wildlife in mind. Wildlife needs your help. With more humans encroaching on wildlife habitat, it is up to us to do our part to keep our wildlife healthy. Managing your garden for wildlife is a great way to do your part. Human activities have decreased and fragmented habitat, locally and on the global scale; birds, butterflies, bats and other wildlife are pushed into ever-shrinking wilderness areas for food and cover. You can make a difference whether you have a small backyard, patio planters, a school yard, a community park, or a 20-acre farm. Wildlife can be supported when you, your school, neighborhood or business create or maintain a simple garden or a landscape with wildlife in mind. Join the larger movement to help wildlife through the Garden for Wildlife program. 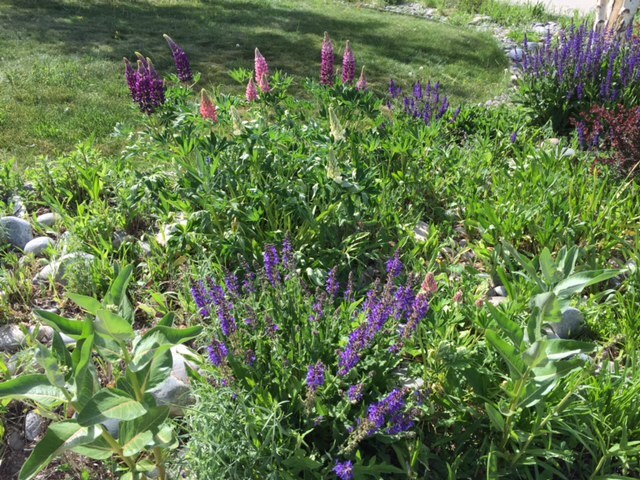 Enjoy Wyoming-specific ideas and our outdoor gardens! We welcome you to visit the NWF’s page full of information about gardening for wildlife. 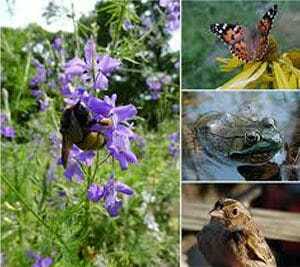 It’s simple to create habitat gardens in our climate and provides many benefits. Support pollinators – they do all the work! Already have all these elements in your wildlife garden? Certify your garden today! If you are creating a garden, design it with wildlife in mind and you can still certify your garden today! 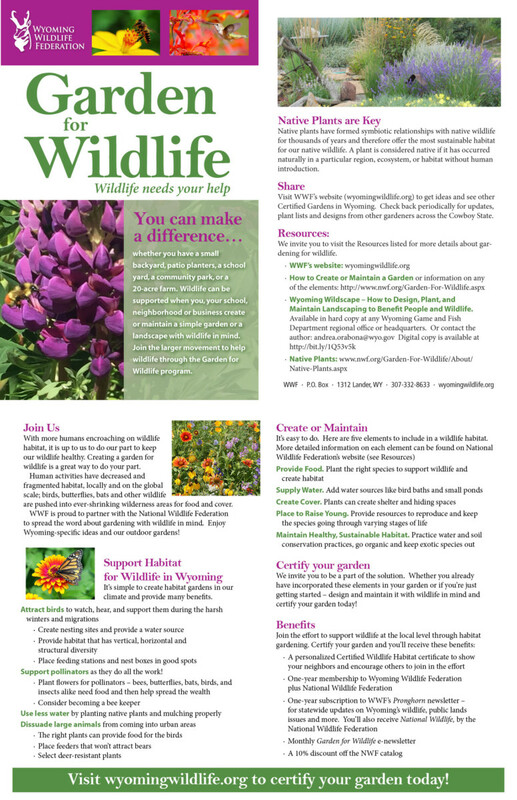 Get more information on creating your habitat garden at NWF or check out Wyoming Wildscape which is full of information, instructions and plant lists, compiled by the Wyoming Game and Fish Department. We invite you to be a part of the solution. Certify your garden today! A personalized Certified Wildlife Habitat certificate to show your neighbors and encourage others to join in the effort. A packet of wildflower seeds to attract pollinators. One year membership to Wyoming Wildlife Federation plus National Wildlife Federation. 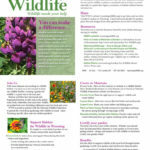 Monthly Garden for Wildlife e-newsletter. 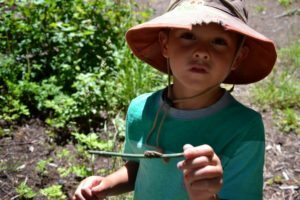 Native plants have formed symbiotic relationships with native wildlife for thousands of years and therefore offer the most sustainable habitat for our native wildlife. A plant is considered native if it has occurred naturally in a particular region, ecosystem, or habitat without human introduction. Find out more or look at Wyoming Wildscape. The National Wildlife Federation will be launching a new search tool for plants native to your zip code. 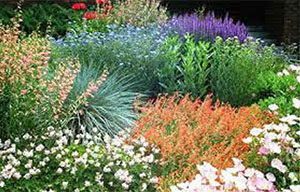 Plants that support butterflies and other pollinators, provide food for caterpillars, and attract birds. This resource is based on the research of Dr. Doug Tallamy of the University of Delaware and in partnership with the U.S. Forest Service. We plan to create a map of certified gardens in Wyoming. Check back periodically for ideas from other gardeners across our Cowboy State. The Wyoming Garden for Wyoming project is sponsored by Halladay Subaru of Cheyenne.